At Doras Bui, we are dedicated to the mental health and well being of all of our parents. We offer a confidential counselling service to Lone Parents attending the Centre. 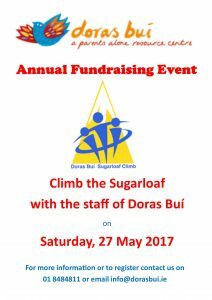 Doras Bui provides a wide range of services, all tailored to the needs of our families. Click on the links below to find out more.